Ne suggestions from the Old timers with the SmartPhone.. It's named Smart here (mob. network)....when you receive pictures via MMS, it's black and white...don't like this phone. Need to look for another. I have a site with many downloads for Smartphone 2002:- www.airfagev.com. The worst part is EMS is not supported and hence Pic messaging, Ringtone downloads are not supported. Ringtones- U need to convert your audio file into wave format(PCM)and then cut the selection using sound recorder. Then transfer through EXPLORE in activesync to My Documents in IPSM. I would like to activate the SDIO slot on this phone to use it with a SDIO wlan card, but I can figure out how to do that. Could somebody help me, please. salam, having problem with mmc card, that aplication not installed. can any body help me to re-install? if any person have user manual, pls send me. I am having i-mate smart phone, I'm in UAE. I would like to download ringtone and Arabic software, hope will get the right solution as soon as possible. Hi, I am using this phone in INDIA on Airtel mobile service. I don't know how to use internet with this phone. Any suggestions will be welcome! I bought this phone in G-Tex Dubai for 500Dhs--rs.6000. Cheapest offer ever with all the original accesories. I Recently bought N6600 now for rs.9450. But Imate stands first. Imate supporting all formats with plenty of freewares but Nokia Supports only Real Media Formats with Mono worse audio. But Both are good in either ways. Iam now in India(chennai). So, guys if any on e of you know where to buy the I-Mate accesories like HEADSET,CHARGER. Please tell if there is any. i need to format my MMC using imate smartphone this model. plz tell me how can i format MMC. is there an option to format MMC through phone. or if i have to insatll some special application to do so. if its about an special application then plz send me that application. i have a i-mate and i am in india,i need to download ringtone how to do so. i am havung imate smartphone. i am very happy in this devise its differnet from other device. i live in iraq and i ask about the nearst shoping center for this device. i ask how can i make mp3 as ring tone if you can help me that i take it as a gift. i live in South america and i can't find any parts for may smartphone, no even in USA, that's my biggest problem! 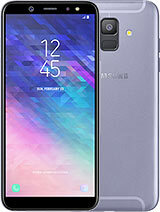 it is great & practical phone, but the only problem i have been suffering is there is no agent in Egypt so,i can not get any accessories to it,where i need to fix camera to my phone and the batteries that i am in a bad need to a have new battery. can you help me to solve that problem? Total of 147 user reviews and opinions for i-mate Smartphone.